Understanding Azure now offers several outstanding collections of practice questions to help you prepare for (and pass) the Azure exams. Each collection consists of 12-15 OBJECTIVE-SPECIFIC practice questions that closely mirror the actual exam questions that you'll encounter when you sit the exam. Answers, explanations, and reference materials are also provided for every question as well. Where do these questions come from? The questions I provide come directly from official Microsoft Azure documentation, official Microsoft Azure How-To articles, and official Microsoft Azure videos. All answers are researched and cross-checked to ensure correctness. Instead of paying hundreds of dollars for hundreds of questions that may or may not even match those on the exam, you can pay pennies on the dollar for questions on only the topics you need help with. To make the most of these practice questions, I suggest you master each collection before moving onto the next. Once you've mastered all practice question collections for your chosen exam, you should be ready to sit the exam. This collection of 12 practice questions for the 70-533 Exam covers the "Create and Manage Azure Resource Manager Virtual Machines" exam topic and includes questions on Automation DSC, Azure File Shares, VM Deployment, Monitoring VMs, Availability Sets, Scale Sets, and more. This collection of 13 practice questions for the 70-533 Exam covers the "Create and Manage Azure Resource Manager Virtual Machines" exam topic and includes questions on Automation DSC, ARM Templates, VM Deployment, Traffic Manager, Availability Sets, Load Balancers, and more. 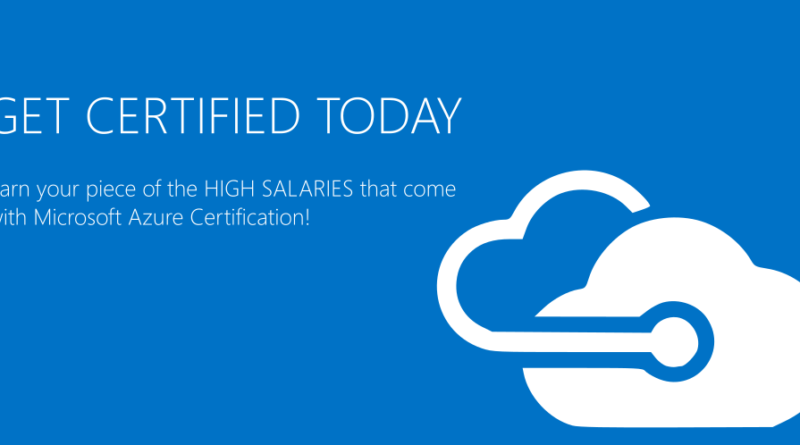 This collection of 12 practice questions for the 70-533 Exam covers the "Implement an Azure Active Directory" exam topic and includes questions covering Single Sign-On, Federation, Microsoft Graph, Application Integration, Azure AD Connect, Synchronization, MFA, and more. This collection of 13 practice questions for the 70-533 Exam covers the "Design and Implement Azure App Service Apps" exam topic and includes questions on Deployment Slots, App Service Plans, Xplat-CLI, Auto-Scaling, Traffic Manager, PowerShell, and more. This collection of 12 practice questions for the 70-533 Exam covers the "Implement Virtual Networks" exam topic and includes questions on Deploying VMs into Virtual Networks, Configuring Static IP Addresses, User-Defined Routes, VPN Solutions, and more. This collection of practice questions for the 70-533 Exam covers the "Design and Implement Azure Storage Solutions" exam topic & includes questions on Storage Blobs, Storage Access, Diagnostics, Monitoring, SQL Databases, Recovery Services, & more. This collection of 12 practice questions for the 70-533 Exam covers the "Designing and Deploying ARM Templates" exam topic and includes questions on topics such as Authoring ARM Templates, ARM Template Syntax, Deploying ARM Templates, and more. These are intense questions that will prepare you. This collection of 12 practice questions for the 70-533 Exam covers the "Implement an Azure Active Directory" exam topic and includes questions covering Single Sign-On, Federation, Microsoft Graph, Application Integration, Azure AD Connect, Synchronization, Multi-Factor Authentication, and more.